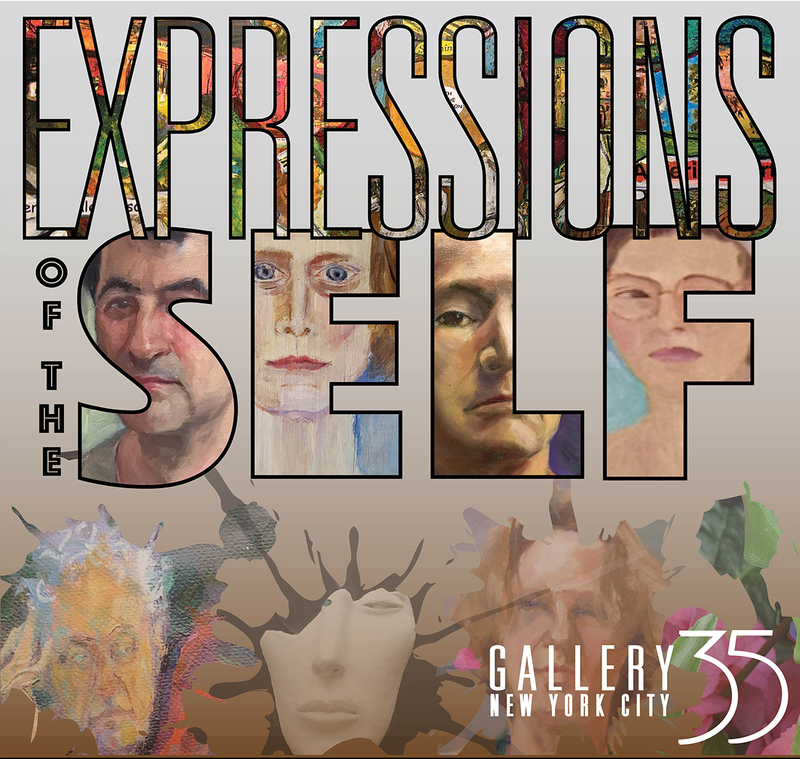 I am excited to be joining 12 other artists in Gallery35’s upcoming exhibit—Expressions of the Self—who have risen to the challenge of creating work that defines “how we see ourselves” using a variety of media and employing realism, abstraction, caricature, metaphor and interactivity with the viewer. I will be exhibiting three expressions of my self. A Patterned Life is an abstract arrangement of artistic elements representing the times and interests of my life: plaid for my years of teaching, coding and paint splotches for my second career as an artist, musical notation for musical and dance interests, waves for an earlier life at the Jersey shore, skyscrapers for my later adventures in NYC and a big zia for my current abode in New Mexico. 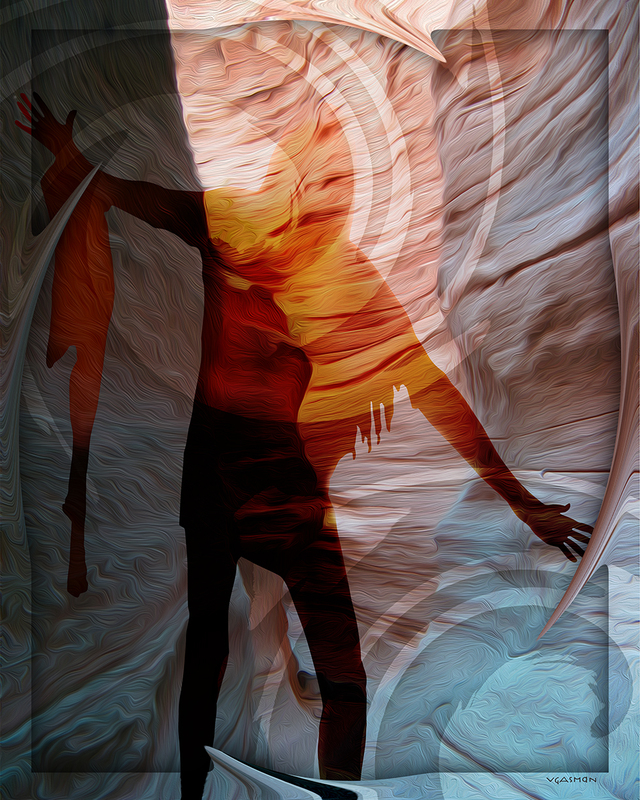 Embracing the Unknown features my shadow superimposed on one of the slot canyons at Tent Rocks, NM, visually illustrating the leap of faith that has accompanied me on each of my life transitions. Hairs’ the Thing is a humorous look at nine hairstyles re-discovered from photos of myself from my early twenties onward. 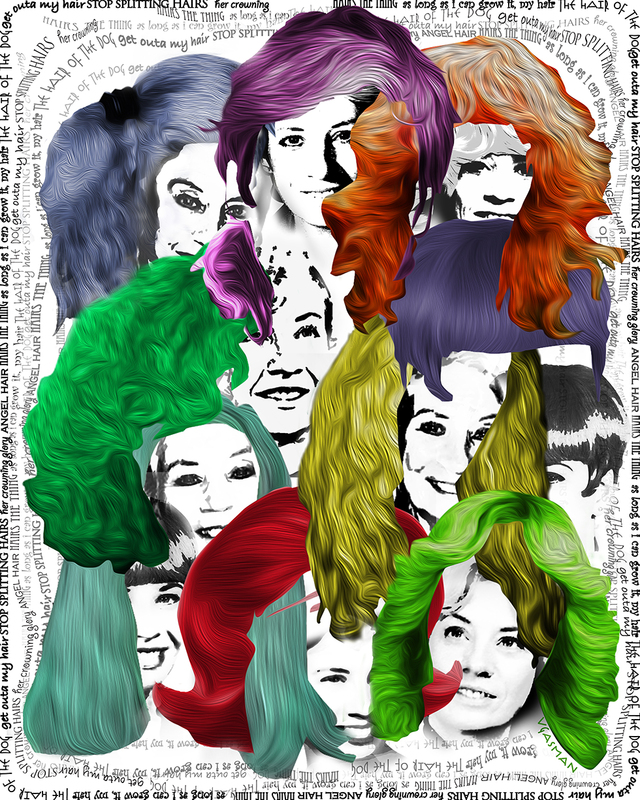 Those of a certain age will recognize the sassoon, the flip, the mullet and the Farah Fawcett among others. What’s Up? of which “Hung Up” gathers together the many clotheslines seen around the canals of Venice. 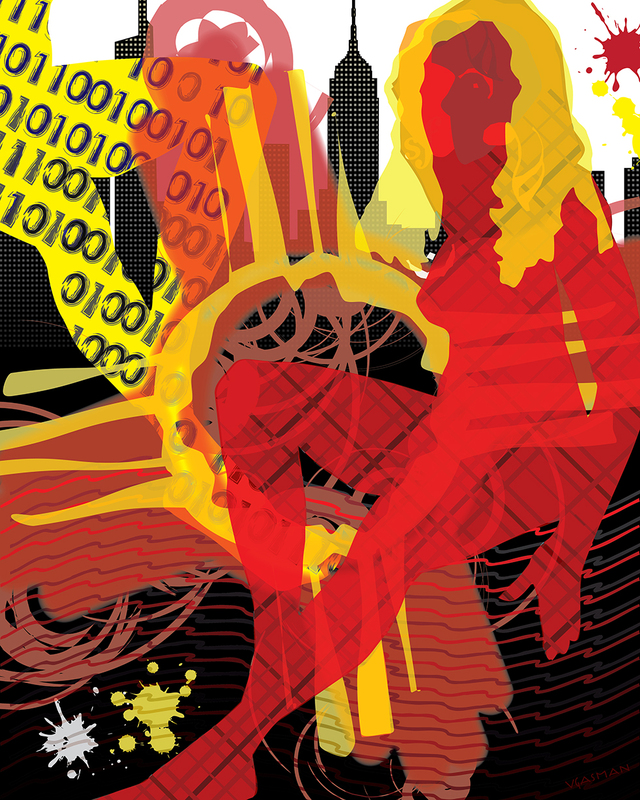 Seven of these digital works now join the work of 5 other Santa Fe artists in Journeys—a summer group show. Central to the beauty of the southwest is that unique plant—the cactus! While we do not have the dramatic saguaro growing in the high altitude of Santa Fe, we do have three very beautiful species: prickly pear, cholla and hedgehog—which grow wild right in my downtown neighborhood. Gallery35’s final exhibit of 2015-2016, The Spring Collection, features my interpretation of these very three cacti—artfully abstracted and color-enhanced! I will be visiting “back east” in June and will be attending the Closing Reception of this exhibit. If you are in the the area, please stop by! The ‘land of enchantment’—and ALL of the southwest—had been beckoning to me for a very long time, inspiring numerous artworks depicting the beauty I encountered on my many visits to Sedona, AZ and Silver City, NM as well as tours of the many majestic canyons of the region. 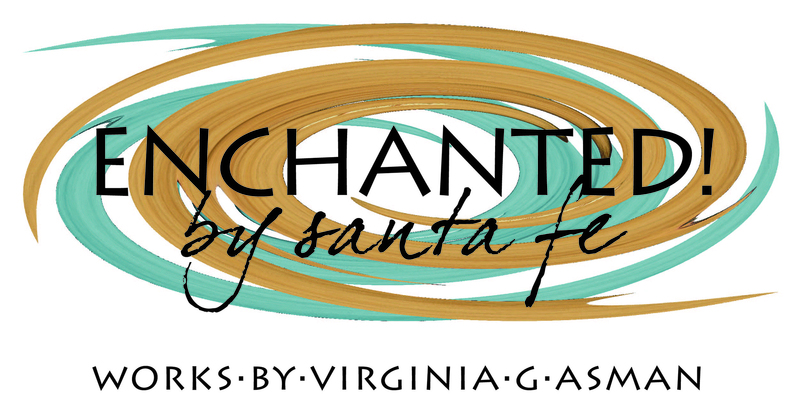 So enchanted was I with Santa Fe that I signed a lease for an apartment on the second day of my visit in May 2014—and moved here 3 months later! I work well under pressure, and the bare walls of my new Santa Fe home—humongous to me after 20 years of cramped NYC studio apartments—propelled an artistic frenzy: in less than two years not only have I decorated my own space, but I have more than enough ‘Santa Fe art’ available for this solo show at Art on Barcelona! “Heads or Tails” Heads East! A touch of the southwest has again arrived in New York City’s Gallery35! 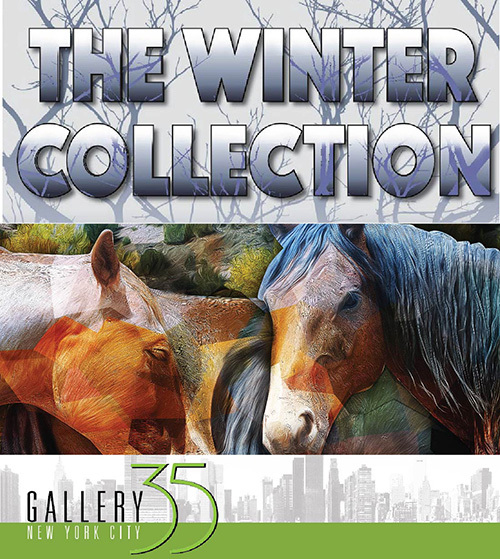 For the gallery’s 2015/2016 seasonal “Collection” series, I am joining 12 other artists in celebrating winter by exhibiting two of my earlier equine works—Heads or Tails and The Mane Thing. 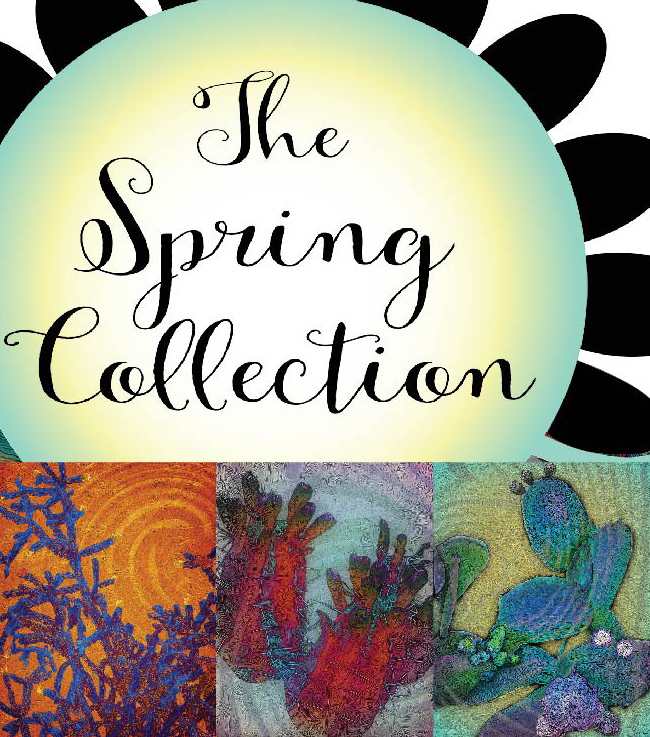 The exhibit—The Winter Collection—opened on January 10th and runs thru March 20th. 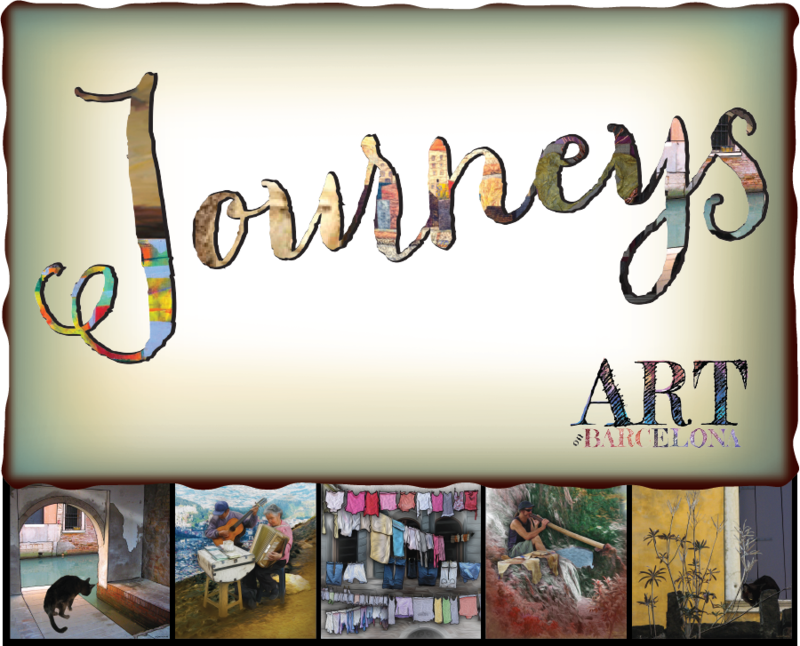 An Artists’ Reception will be held on February 6th from 6-8pm; a Closing Event will take place on March 20th from 12:30-2pm. If you are in the area, please stop by. I am one of 14 artists exhibiting in this eclectic show where I will be showing 4 new works. l-r: Burro Banquet, Artsy Duo, Filly Feast and Artsy Trio inspired by roadside and ranch animals and the annual Folk Art Festival—all in Santa Fe. If you are in or near NYC, stop by at Gallery35, 30 E 35th St. Open during receptions and by appointment: gallery35ny@gmail.com. On Display in Santa Fe! I am excited to be able to show—in one place— most of the art I have created since moving out west at the Santa Fe Studio Tour. I will be joining 3 other artists presenting our work in a gallery setting during the last two weekends in June. 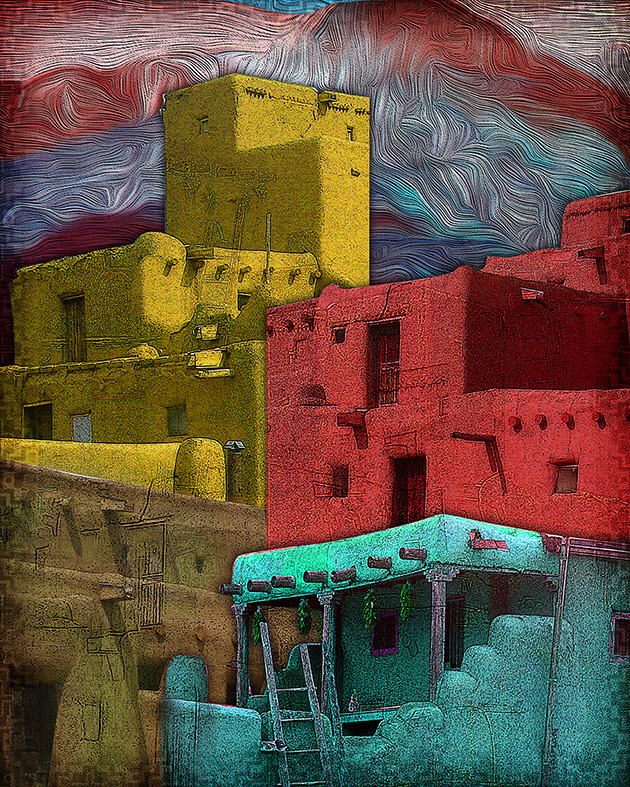 Pictured above are details of my latest series: Time Warped Welcome: 5 pieces featuring characters from the past each standing at the distinctive—time warped— adobe wall gates so ubiquitous throughout Santa Fe. These—along with 11 more of my New Mexico-inspired “photo renderings”— will be on exhibit at Studio 20, 1219 Luisa Street, Santa Fe, NM. on the weekends of June 20-21 and June 27-28! I am joining four other artists in a group show entitled “For the Beauty of the Earth”—an exhibit created to coincide with the Earth Day celebration. A Reception for the Artists will take place on May 3rd at 12:30pm. I am debuting one brand new series—On Flights of Color—created by digitally montaging my photographs of specimens of butterflies and moths paired with Santa Fe scenery and graphical elements moving through the color spectrum. Shown congruently is my 2012 series Galapagos Duos inspired by my travels to the Galapagos islands in that same year. Three of my most recent “Santa Fe-Inspired” works are included in a group show, “Color & Light” at Gallery35 in New York City. The exhibit opened on February 21st and will be on view thru March 21st. A closing reception is planned for March 21st from 6-8pm. Earlier this year, I was honored to have two pieces—Social Butterfly and Shark Alert— included in the Long Island City Artists group show at the Atlantic Gallery in the Chelsea section of New York City. To see these and related works, go to my Fine Art section and click on Balloon Fiesta!